CQ Researcher provides original, comprehensive reporting and analysis on issues in the news. 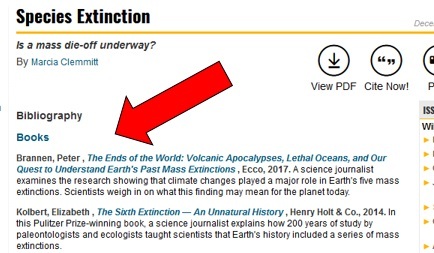 This resource provides in-depth, nonpartisan overviews on a wide range of current events. New to a news topic? Wanting to see both sides (or the other side) of a current issue? Check out this source. 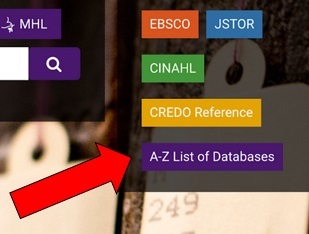 CQ Researcher is listed under the A-Z List of Databases link on the library website. CQ Researcher is a great starting place for college level research. Similar to other 'reference sources' like CREDO reference, your professor may not want you to use a source from CQ Researcher directly in your paper or speech, it is a useful source to find newspaper articles and peer reviewed articles that your prof will approve of. which brings up several reports related directly to the topic. Each CQ Researcher report includes a Bibliography section, as well as a Footnotes section. The Bibliography lists books, articles, and reports and studies related to the topic, while the Footnotes section lists the sources used to compile the specific report. These sources are great launching places for in depth research on the topic. They are also available through the library! Each citation is linked to WorldCat, a collection of libraries worldwide include Goshen College. When you click the title of a item, it will look in WorldCat for the item. If we have it, a link or call number to the source will be noted. 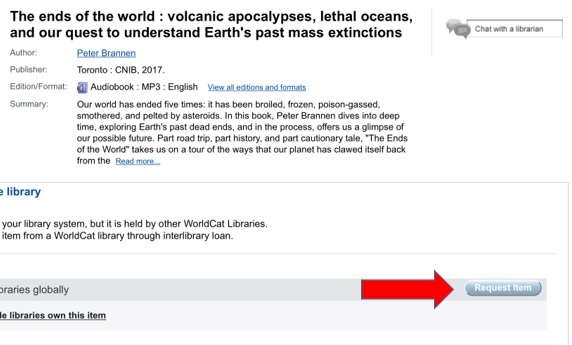 If not, simply request the item for free through interlibrary loan by selecting the item, then clicking the blue Request Item button. Each report includes a pro/con debate by representatives of opposing positions. The individuals selected are experts in their field and on the topic at hand, not simply a voice in the internet.